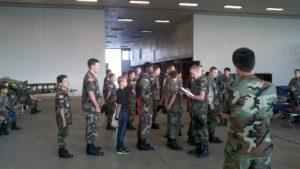 Cadet Programs are one of the core missions of Civil Air Patrol. 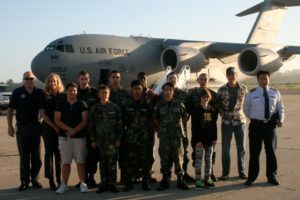 While there are many youth oriented programs in America today, CAP’s cadet program is unique in that it uses aviation as a cornerstone. Thousands of young people from 12 years through age 21 are introduced to aviation through CAP’s cadet program. 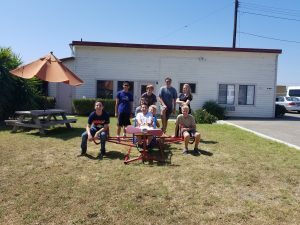 The program allows young people to progress at their own pace through a 16-step program including aerospace education, leadership training, physical fitness and moral leadership. Cadets compete for academic scholarships to further their studies in fields such as engineering, science, aircraft mechanics, aerospace medicine, meteorology, as well as many others. The cadets from our program have varied career paths and they are not at all required to join the military. Many have gone on to college with great success due to their leadership training. Others have joined the military, some going to academies and some directly enlisting with the advanced grade. Those cadets who earn cadet officer status may enter the Air Force as an E3 (airman first class) rather than an E1 (airman basic). About 10% of Air Force Academy cadets get their start from CAP. Whatever your interests-survival training, flight training, photography, astronomy there’s a place for you in CAP’s cadet program. Each year, cadets have the opportunity to participate in special activities at the local, state, regional or national level. 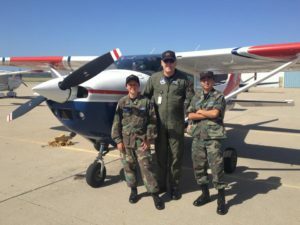 Many cadets will have the opportunity to solo fly an airplane for the first time through a flight encampment or academy. 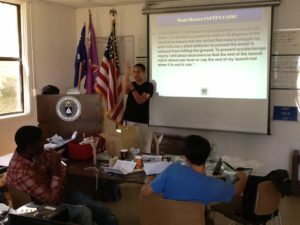 Others will enjoy traveling abroad through the International Air Cadet Exchange Program. Still, others assist at major air shows throughout the nation. CAP activities provide cadets with the opportunity to commingle with other units; local regional, or statewide. Such an activity is encampment, where cadets spend a week on a military base. 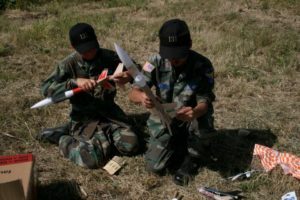 There, they learn leadership skills such as customs and courtesies and the warrior spirit; and participate in adventurous activities such as rifle shooting, orientation rides in military aircraft, and model rocketry. Parents are invited to help out at the squadron for chaperoning and other duties!